Networking is normally seen as a necessary evil by most people and is undertaken grudgingly because it is seen as a have to do particularly by business people in order to stay in touch, be seen, and possibly extend or uncover business opportunities. Two years ago I was introduced to the concept of Networlding and participated in a webinar presented by founder Melissa Giovagnoli. I was immediately taken by the differences between networlding and traditional networking and soon began to practice them. The results astounded me. So much so that I became the Ambassador to Australia for Networlding and earlier this year presented the first classes in Australia to inspire other people to engage in the practice. 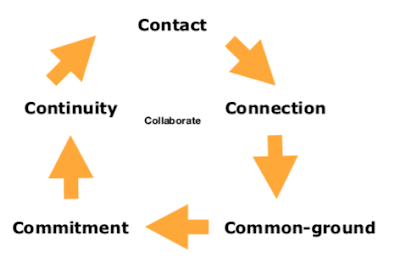 Networlding is not about the number of connections you have on LinkedIn, the number of followers you have on Twitter, or the legion of fans you have Facebook, nor the size of your business card collection – it is about the quality of the connections you have and develop. The Tipping Point by Malcolm Gladwell is one of my favourite books about change and how change can happen quickly. Malcolm refers to three kinds of people who are critical to the spreading of a story, an idea, anything; Mavens, Connectors, and Salespeople. Mavens are people in the know and across the details of things. Connectors are people with a special gift for bringing people together and are also gifted at spreading the word. Salespeople are people are persuaders, influencers, and inspirers. How many Mavens, Connectors, and Salespeople do you know? And more importantly how many people know you as a Maven, Connector, or Salesperson, or all three? After reading The Tipping Point when it first came out I immediately caste a critical eye over all my connections to see how many of these kinds of people I knew and began to focus on pursuing relationships of mutual reward with such people. I also closely reviewed all my business relationships where I thought people would see me as Maven, Connector, Salesperson, or all three, and began to strengthen my ties with these people. When I first embraced Networlding I was shocked that with many of the Mavens, Connectors, and Salespeople I knew there, and with many people who knew me as having the skills, there wasn’t a values match, and when there was, very few people met the 10 criteria stated above. Since then I have began to build relationships of mutual reward with vastly different people to the past and the results have taken my breath away. As I write there are Networlding Circles In Australia, United Kingdom, and United States of America. Melissa is very keen to expand these to everywhere. Get in touch with Melissa. At very least buy Melissa’s books and learn to Networld yourself. You will be amazed at how it will help you to change what’s normal.